Strong-Bond 112 Rigid Epoxy Staking Compound, 2 Part, Medium Visc, Room Temp or Heat Cure is a thixotropic epoxy system recommended for critical electronics, aerospace and industrial bonding, laminating and reinforcing applications requiring an adhesive with high-fill, non-sag characteristics. Strong-Bond 112 Rigid Epoxy Staking Compound, 2 Part, Medium Visc, Room Temp or Heat Cure solvent-free adhesive is easily mixed and used for staking components to printed circuit boards for enhanced mechanical rigidity, and for bonding, laminating and repair applications involving metals, glass, ceramics, wood and many plastics. Strong-Bond 112 Rigid Epoxy Staking Compound, 2 Part, Medium Visc, Room Temp or Heat Cure hardens to a tough, enamel-like coating offering good chemical resistance as well as superior physical and mechanical properties. The cured adhesive provides good electrical insulation and resistance to weather, galvanic action, petroleum products and lubricants, alcohol, salts, mild acids and alkalis, and other organic and inorganic compounds. 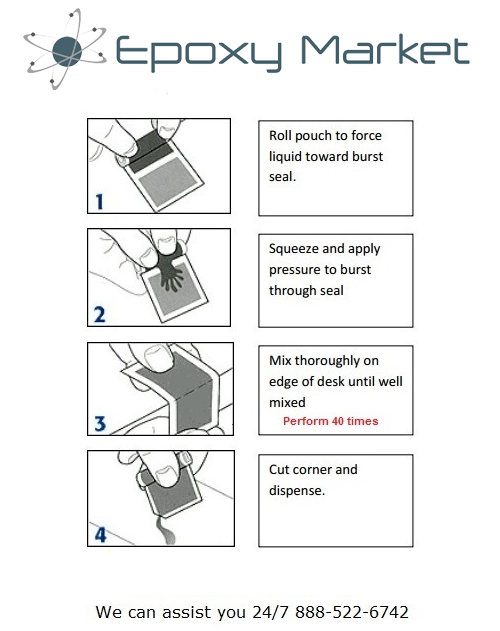 2) Apply the mixed adhesive to the prepared surfaces, and gently press these surfaces together. Contact pressure is adequate for strong, reliable bonds; however, maintain contact until adhesive is completely cured.